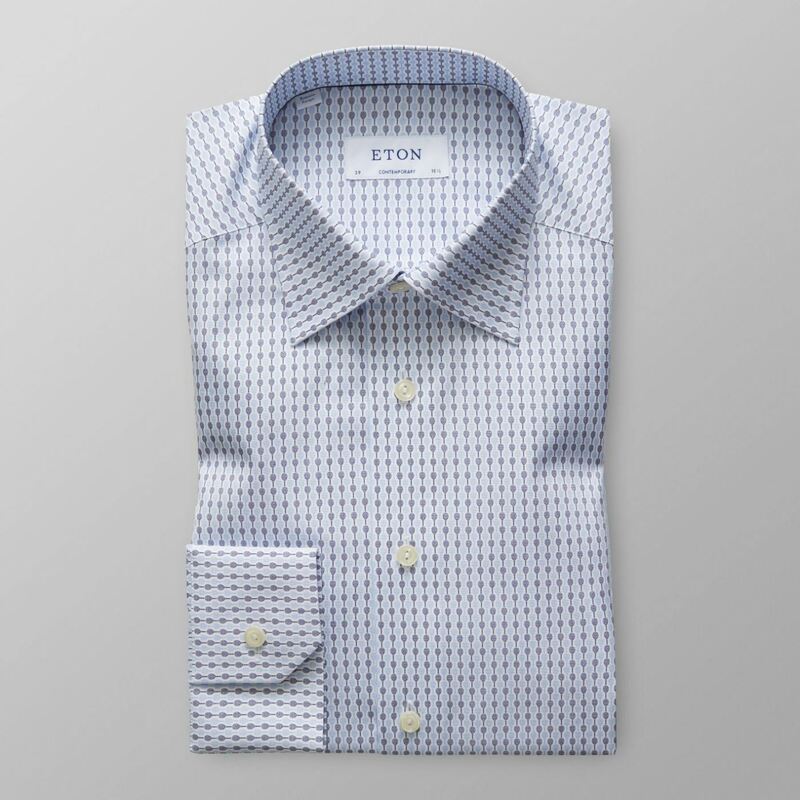  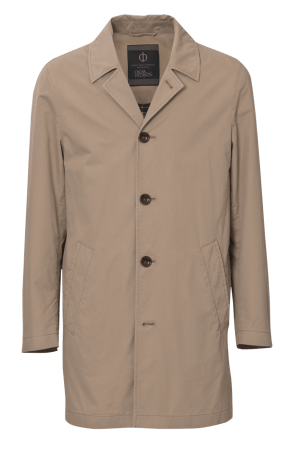 Cut from Eton’s crisp poplin fabric this shirt will keep you perfect looking all day long. 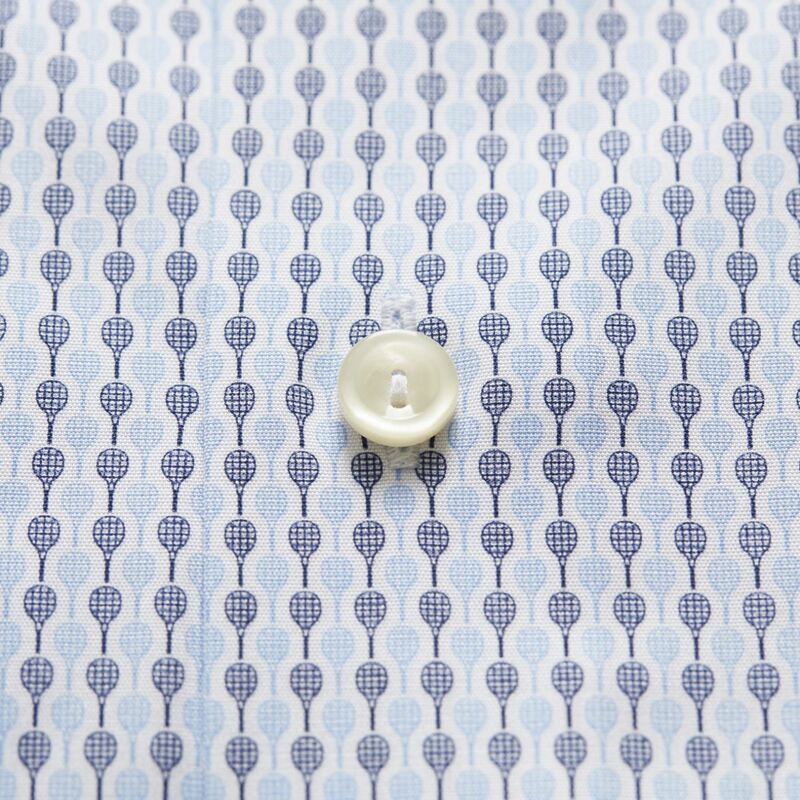 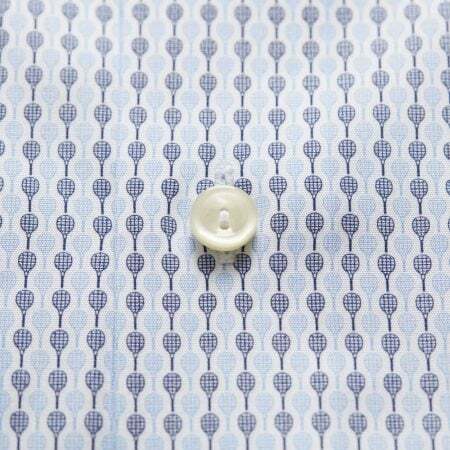 What might seem as a normal sky blue shirt is actually a print of delicate tennis rackets – just take a closer look. Wear this shirt under an unlined suit with a bold patterned tie and a matching pocket square to create a sophisticated, smart office look. 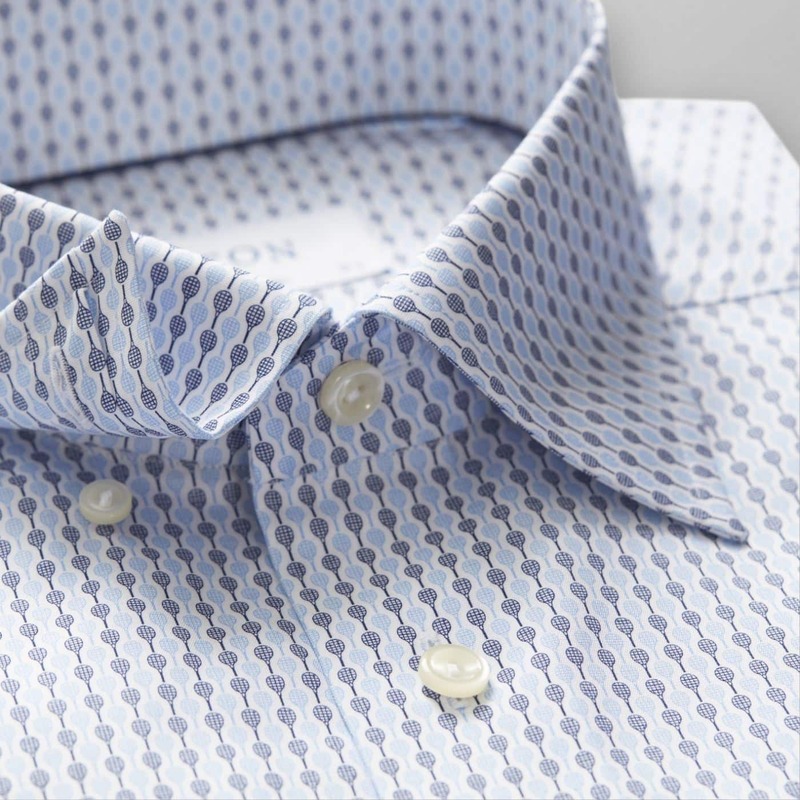 For the after work, just take off the suit jacket and the let the shirt’s print speak for itself.